Alongside the release of 2018 MacBook Pro models today, Apple has stopped selling the sole 2015 MacBook Pro that remained available for purchase on its online store, marking the end of an era for the notebook. Until now, Apple continued to sell one 15-inch configuration of the 2015 MacBook Pro for customers who preferred the notebook's wide range of connectivity options, including a pair of Thunderbolt 2 and USB-A ports, an HDMI port, an SD card reader, and Apple's break-away MagSafe power connector. By comparison, the 2016 and later MacBook Pro is equipped solely with two or four Thunderbolt 3 ports, depending on the model, that can deliver power, USB, DisplayPort, HDMI, and VGA over a single connection. All of Apple's notebooks continue to have 3.5mm headphone jacks as well. The overall design of the 2015 MacBook Pro was first introduced in 2012, when Apple released its first MacBook Pro models with Retina displays. The notebook had a much slimmer design compared to pre-2012 models, after Apple removed the built-in Ethernet port and CD/DVD optical drive. With the removal of the 2015 model, the new MacBook Pro lineup is now exclusively Thunderbolt 3 models. Those looking for expanded connectivity without adapters are now limited to the outdated MacBook Air, equipped with Thunderbolt 2, two USB-A ports, an SD card reader, and MagSafe 2. The 2015 model was also the last MacBook Pro to feature a scissor mechanism keyboard. The lower-profile butterfly mechanism keyboard introduced on the 2016 and 2017 MacBook Pro has proven problematic for some customers, resulting in Apple launching a service program offering free repairs. 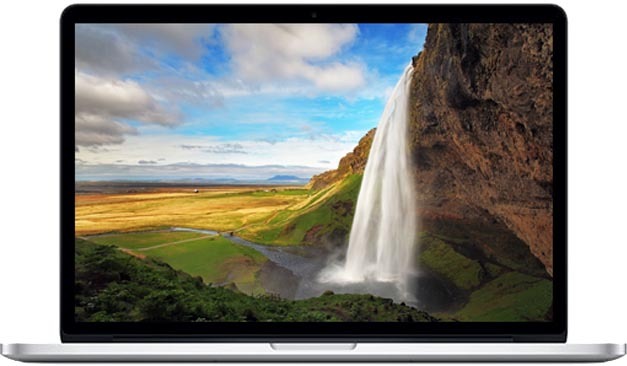 Updated: While supplies last, Apple is still selling the 2015 MacBook Pro on clearance. These remain brand new, unopened models — not refurbished. Thanks to eagle-eyed MacRumors reader Christopher. How so? The ports? You gotta let go of the past sometimes man... USB, HDMI, etc.... all in the past. If they could just keep this model with updated internals. The best MacBook Pro they ever made. Because its a better laptop for many people. The keyboards, the battery life, the MagSafe, and yeah the real world still involves use of HDMI (just about every monitor/projector etc), SD cards (just about every SLR/Compact camera, USB (Oh in Apple's latest iPads/iPhones etc). If Steve Jobs was alive, those models would be dead since the new Touch Bar MacBook Pro. If Jobs was alive maybe the TouchBar Macs wouldn't be so bad. The practice of keeping older models around was alive in Job's time, look at the iPhone range. no ports no sale. The new macbook pros are crap. When they had just one model per year. No when they started keeping older versions of the iPhone around (The 3G alongside the 3GS, the 3GS alongside the 4 and the 3GS and 4 alongside the 4S). Why no 2015 anymore you might ask? Apple are too scared that people will choose the older design if they were to update it, as it would go against their 'vision', and their vision is more important than customer experience. lol Apple's 2nd slogan: Apple: Profit over user experience. Complaints. Meh, you had 3 years to buy one and can still get them from plenty of other sources. They affect a small, messy percentage (Stop eating two inches from your MacBook People). I work for a major university, and only a small amount of our new MacBooks have seen issues. Most people love the Touch Bar too. Macrumors' audience is resistant to change, and not representative of the general Mac population. We have 750 Touchbars enrolled in Jamf and 62 have needed keyboard repairs over the last 12 months. That's a design failure.